A US national with Belizean connections who was presumed missing by her family members and wanted by the Federal Bureau of Investigation (FBI) has been located. Dorothy Lee Barnett now 53 disappeared on April 22, 1994 with her infant daughter Savanna (now 20) leaving no trace behind. Barnett had remained a prime suspect, and was wanted by FBI for parental abduction. 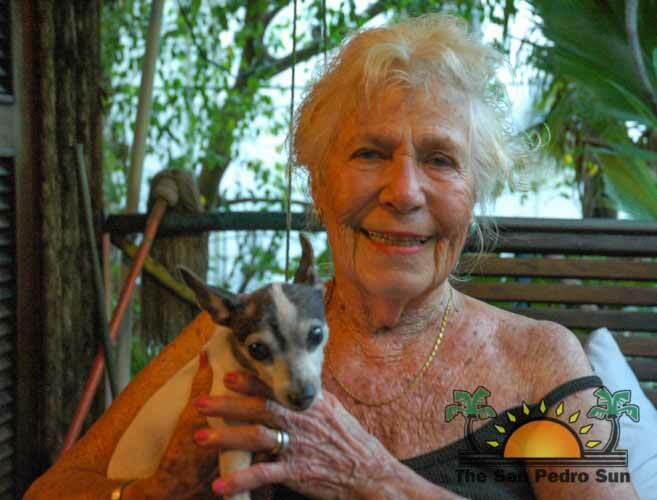 Lee Barnett was known by many in Belize, especially in Placencia and on Ambergris Caye after her mother, also named Dorothy Barnett, moved to Belize in the late 1970’s. Before her disappearance, Dorothy Lee Barnett had married Benjamin Harris Todd in 1991. The union gave birth to Savanna in 1993, but the couple had separated over claims of domestic abuse. Her disappearance was not only shocking to those she knew in the US but also to her friends in Belize. At one point she was even being sought by the FBI in Belize. Her mother Dorothy Barnett, who lives on Ambergris Caye, explained that it is believed that her daughter made it out of the US with a false passport and with the help of the secretive organization called Children of the Underground. “From what we have been able to uncover from the reports is that she (Lee) was a nursing mother when [a woman named] Faye Yager helped her disappear using a fake passport to Frankfurt Germany. I don’t know how long she stayed at Frankfurt, Germany, but do know she went to South Africa. The last person to see her was a wealthy South African businessman. All these years I hoped that she was alive in South Africa,” said the 83-year-old as she sat on her balcony in San Pedro Town. “She was living an abusive life,” said the mother, “that is why she ran away. Her ex-husband was a bad man, someone you had to fear.” However Todd, a successful investment banker who lives in the exclusive ocean-side residence off Isle of Palms, South Carolina, maintained that he divorced Barnett citing ‘physical cruelty’. He said that she was the person who would hit him. According to authorities Lee Barnett adopted the name Alexandria Maria Canton and used the surname Geldenhuys after she remarried. Savanna was going by the name of Samantha Geldenhuys which help both to go undetected by authorities. Australian Federal Police detained Lee on the Sunshine Coast in Queensland where they were living under the aliases. They had been notified by the FBI who had received information about Lee’s whereabouts. She was wanted for international parental kidnapping and two counts of false statement in a passport application. And while her mother is excited, the reality is that Lee Barnett is faced with the possibility of being extradited to the US. According to Lee’s barrister, Jeff Hunter QC, her friends were prepared to put up over $100,000 as surety and that she had a secure job and a mortgage when requesting for bail. Lee was denied bail since she is considered a flight risk. Lee Barnett is schedule to go back in court in February 2014, where her extradition application will be heard. If convicted of the charges, Barnett could spend three years in prison on the kidnapping charge and ten years on each of the two passport counts.